After sneaking in too many carbs last week I redoubled my efforts and apart from one ‘off-plan’ meal this week, I managed to stick to the Trim Healthy Mama way of eating all week. It really helps that it is reasonably easy to adapt most of my staple recipes to THM. I didn’t try out any new THM recipes this week but I did discover a new favourite lunch. On THM you control the amount and type of carbs you have, never mixing fats and carbs in the same meal. Someone on the THM New Zealand Facebook page mentioned that one of the varieties of Ryvita (a rye-based cracker flatbread) was ‘on plan’. I haven’t missed bread hugely (much to my surprise!) 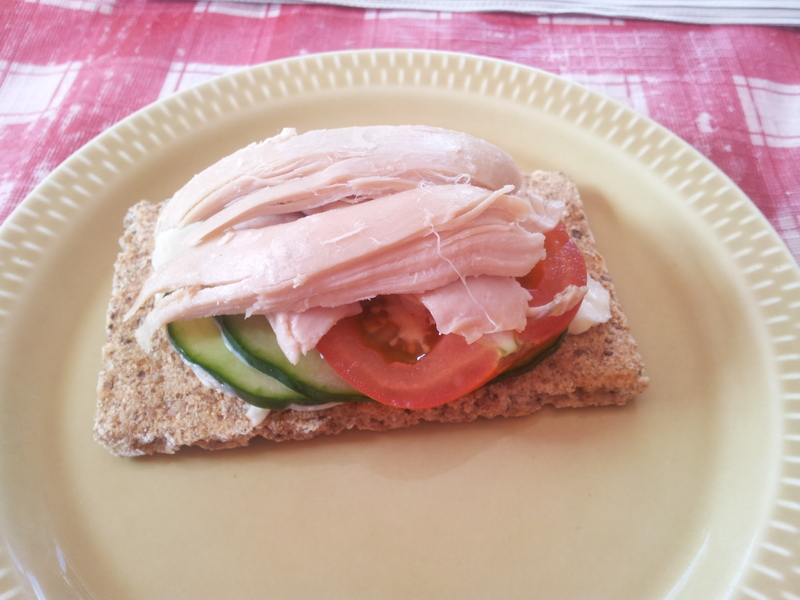 but I really wanted something sandwichey the other day so I got some of the Ryvita. I smeared it with lite Laughing Cow cheese, and topped it with cucumber, tomato and a bit of chicken. Yum! I weighed myself a couple of days ago and had lost 4 kilos. So pleased! I try not to get too hung up on what the scales say as you often see results in other ways. My clothes are still getting looser. A top that was a little tight on me before THM now fits me perfectly today. And I swear I’m not imagining it, but I needed to tie my shoelaces tighter this morning!